HomeWood Designer ForumStairDesignerversion 6 or version 7? version 6 or version 7? However, I’m guessing that you need to design spiral stairs with a circular central post and I don’t think either version of StairDesigner very adapted to draw spiral stairs. V6 has very limited spiral stair functions but it is possible to draw spiral stairs with a square or faceted post. I don’t recommend using and StairDesigner 7 doesn’t have any spiral stair functions yet. We are hoping to get some up this year but for the time being I would design these stairs directly using CADD. Thanks for posting your project, however, the drawing doesn’t seem to have uploaded. Don’t forget to click the “start upload button” before the “submit reply” button. 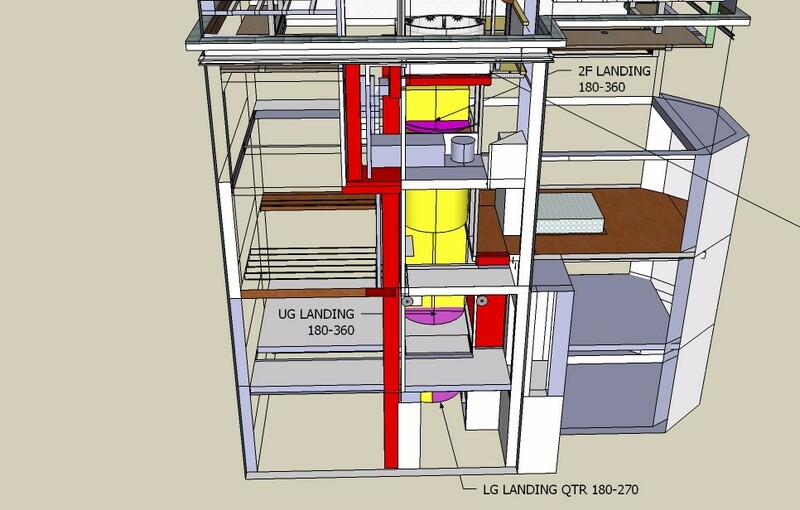 Spiral stairs – 3 flights – lower ground to 2F. 1F 120/180 (1st step variable at 90-180 to fit fixed stop at 180-210). I hope above makes sense. 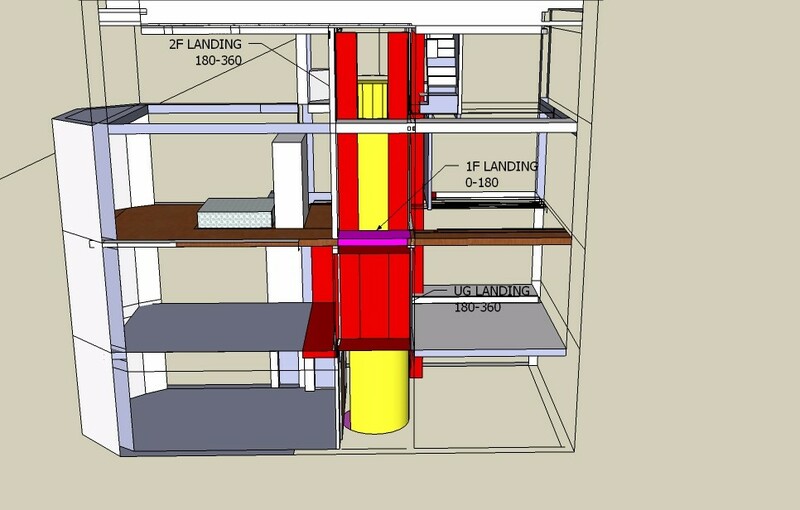 I attach images showing landing coloured pink and stairwell yellow. Is version 6 or 7 more suitable? Any other advice, including how to avoid intersecting stringer error when completing full rotation.